If you need replacement parts for your pressure canner, such as gaskets, regulators gauges, bolts, etc., see this page. Note, July 30, 2013: The manufacturer recent changed their website and the links above did not work, but they ARE working now. If they break the link again, just click here to write me and I'll email you a copy of the manual! 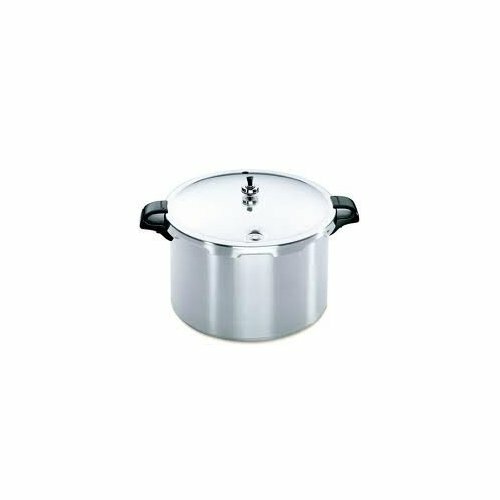 These pressure canners are both a pressure canner and a pressure cooker, and with the weight off and lid left loose, can be used as a water bath canner, too. Click here for a link to a scanned Mirro Pressure Canner manual on another website. 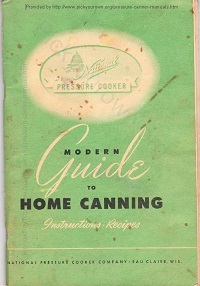 If you have a Mirro pressure canner manual and can scan it, to make a better copy, please write me! 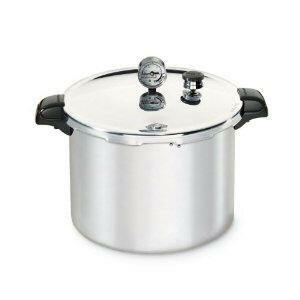 Canners and Canning Equipments for Which We Are Still Seeking Manuals! If you have a copy of this manual,and can scan the manual to email me, please write me, and I'll add it!